to control every aspect of your business. Automate the entire accounting process and never enter data twice. All critical information is taken care of via automated interaction. Discover and explore you data with multiple dashboards and deliver answers when you need them with flexible ad hoc reporting module. Empower your business with seamless mobile compatibility and take your operations with you everywhere you go. Interface for all major accounting software including QuickBooks and Sage50, Google Apps, PC-Miler, Fuel Card Interfaces, Imaging Module. EDI, OTM, ACE/ACI, IFTA, PC-Miler, Web Quotes, Web Tracking. Offer your customers self-service features that will be working for you 24/7. Intermark Transport started its operations in 1997 as a refrigerated carrier bringing produce from California to major chain stores in the province of Québec and grew to be one of the major Transport companies in Canada. Our mission is to bring our customers and carriers to the highest level of satisfaction. Since many years DispatchMax helps us achieve this goal by providing clear and easy-to-use interface together with various management tools that automate every aspect of our day-to-day activities. DispatchMax is always at our fingertips, ready to assist our business. Specialized in shipping containers and flat bed transportation all over Canada, Les Camionnages Giroux & Fils also do bulk transportation. We are a team that values quality, punctuality and a job well done, at a competitive price. We are specialized in shipping of containers and flatbed transportation all over Canada. Several years ago we switched to DispatchMax from another fleet management system. The implementation, adjustment to the specifics of our business, and integration procedure were fast and complete. We benefit from using the DispatchMax software. 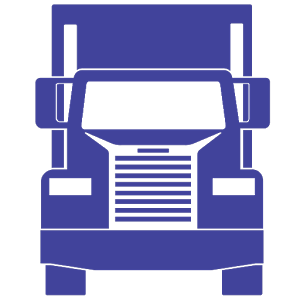 Since 30 years Transport JGRS Boudreault is proud to offer freight transportation services to our valued clients. We would like to say that, it is a pleasure to use the DispatchMax software for operational and accounting purposes of our business. DispatchMax is incredibly versatile and flexible product. Thank you for your very professional and prompt services. Is your system as flexible and customizable?